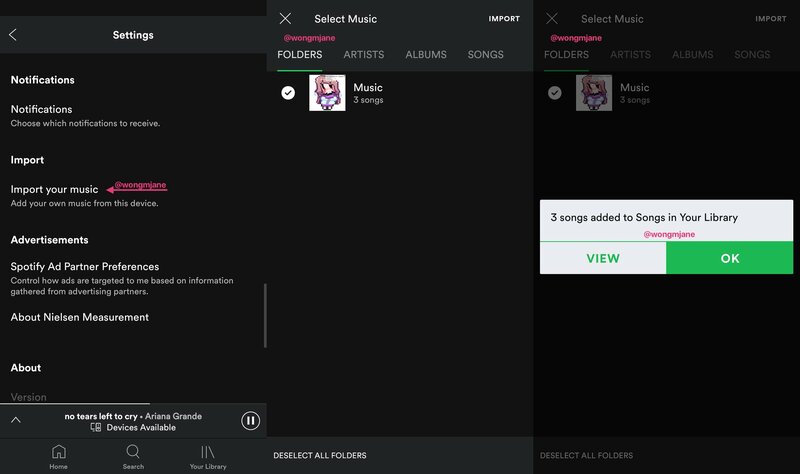 Hidden inside the Spotify app are hints at several upcoming changes — or at least tests — the company is working on. First, and most interesting to us, is the option to import your locally stored music into the app. This isn't like Google's or Apple's music upload feature though, so don't get your hopes up. Instead, just like the desktop version, you'll be able to play your local songs in Spotify, without having to open another music player. It's handy, but we all want an upload function for those songs that aren't available on the service. Another change is a new tabbed view for the Library where you can quickly go between playlists, artists, albums, and podcasts. I think Jane is using the free version of Spotify, so a few tabs are missing, and there's a new Favorite Songs playlist for her. For those who subscribe to the Premium service, access to their saved songs is likely to be there. 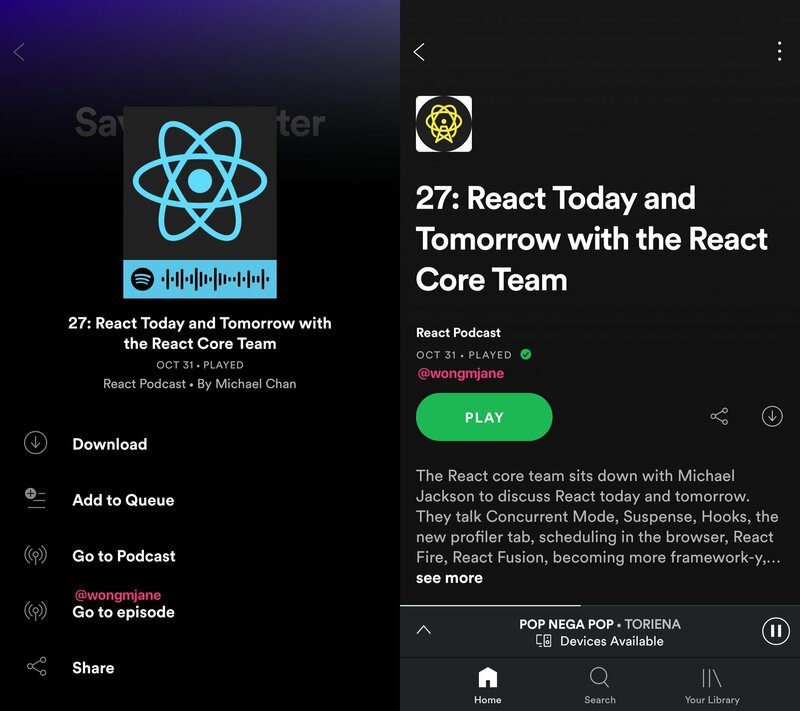 There's work on podcasts too, with several improvements being tested like the option to filter search results by music or podcast, save episodes for later, and a new episode UI that separates the description into a standalone screen. Finally, there may be a new album UI in testing with a black bar and a favorite icon on top, as well as what seems to be larger album art. Again, I think Jane is using the free version of Spotify here, so Premium users might get a different interface. Spotify has been known to test things and drag them out for months before releasing them to everyone, so if you're interested by any of these features, you'll likely have to wait a long time before they show up on your device. Odds are some of them will see several changes in the meantime too.